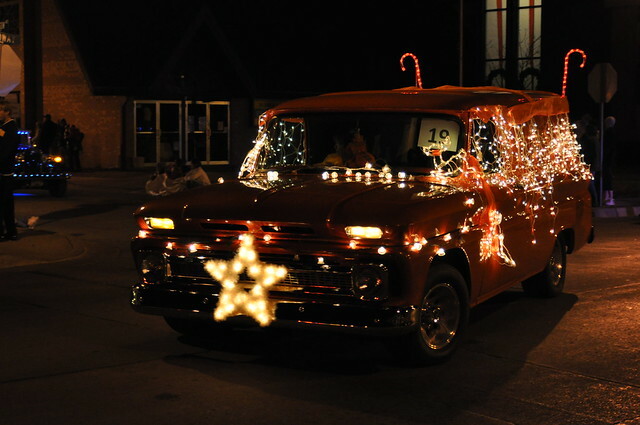 While I really don't like the Christmas decorations coming out on November 1st, the parade is always a hit with The Littles. I mean, really, Santa arrives on a "rocket sleigh"! Handsome has been sick, so he stayed home with Daddy. The girls and I donned our warmest threads and walked down to find a spot on the curb. The wind was fierce, but there was candy and that made it all worth it. haha! 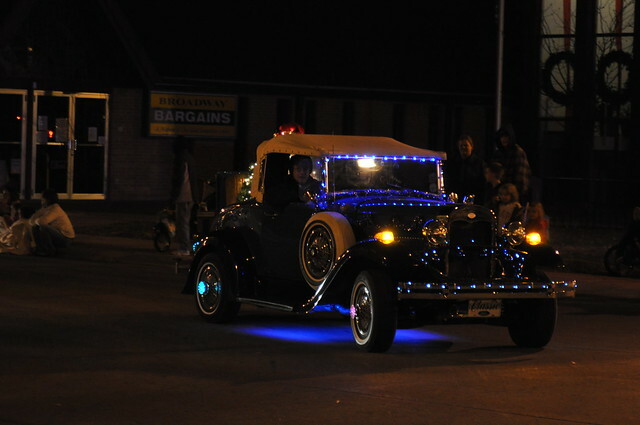 All of the vehicles in the parade are covered in lights and sounds of the season. It's quite the shiny event.